Rosy the Reviewer: A Perfect 24 Hours in Portland (and Some Travel Tips You Can Use Anywhere)! A Perfect 24 Hours in Portland (and Some Travel Tips You Can Use Anywhere)! But Seattle won out because of its closeness to Canada, Victoria and Vancouver, B.C. being two of our favorite cities. And, best of both worlds, we were still only three hours from Portland. And Portland has always been a destination. 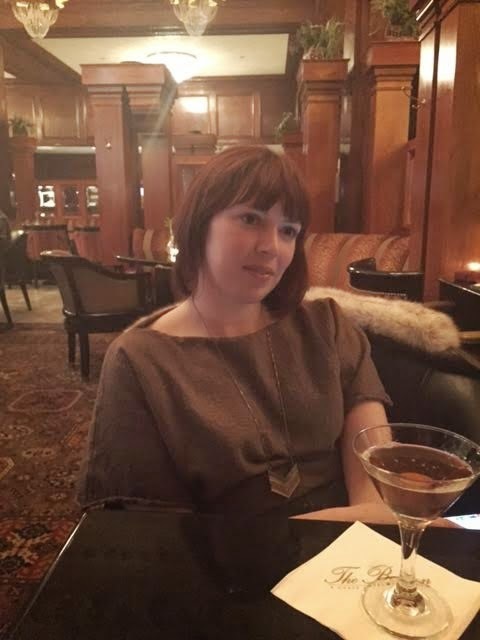 Recently our daughter visited us in Seattle prior to a library conference in Portland (yes, my daughter is also a librarian - I wrote about our parallel careers in my post "Passing the Baton."). After her visit with us, we thought it would be fun to drive her down there and spend the night, which we did. And it was a wonderful 24 hours. How do you spend a perfect 24 hours in Portland? I will now channel Anthony Bourdain and his wonderful series "The Layover," where he shows the viewer all of the cool things you can do in 24-48 hours in exotic locales: where to stay, where to eat, and what to do. So in the spirit of Tony (I am such a fan he lets me call him Tony) - here is how to have a perfect 24 hours in Portland with some of my astute travel tips that you can use anywhere. 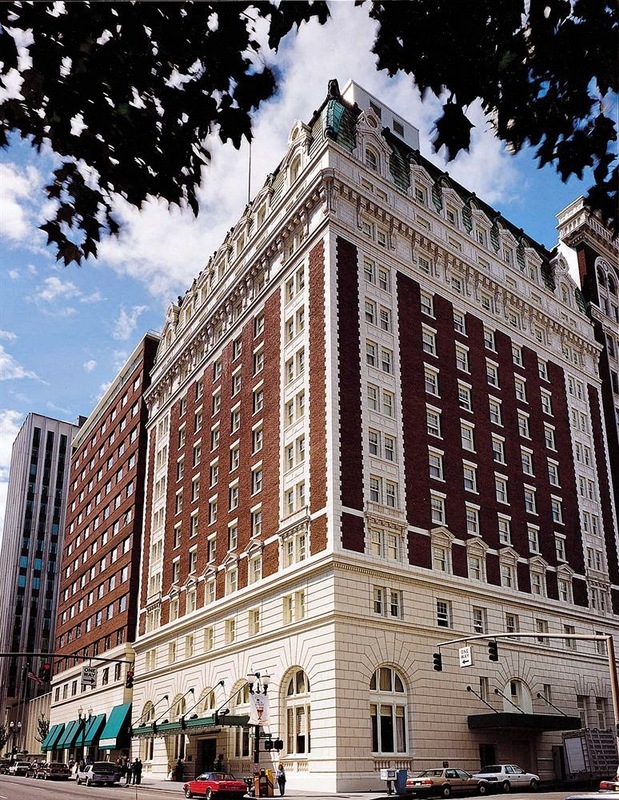 We like the old world charm of The Benson, right downtown in the heart of the action. It's a venerable mainstay that has been around since 1913 and with its hand-carved Circassian walnut paneling from Russia and the Italian white-marble staircase, it reeks of First Class. Every sitting president beginning with Harry Truman has stayed there. If it's good enough for them, it's good enough for me! It's classy Palm Court Lounge is also a destination (I'll get to that later). Travel Tip #1: If you like quiet rooms, booking a room in an older hotel is for you. The thick walls and high ceilings block out the sounds of the other rooms. Who wants to hear people flushing their toilets, taking showers and doing god knows what at 3am? In an old hotel, you won't hear a peep. Travel Tip #2: Also if quiet is your thing (it's definitely mine), book the top floor. Even if you are in one of those hotels where you can hear everything going on next door, why add people stomping around overhead to the mix? Also, the higher up, the better the view. Travel Tip #3: It never hurts to ask nicely when checking in that your room be away from the elevator, maid's closet and ice and vending machines. We once had a room with the elevator going up and down next door. Ugh. Likewise, the drunken laughter of other guests getting on and off the elevator can get annoying. And who wants to hear the maids getting ready to clean rooms at 6am (as you know, I am NOT an early riser)? And I can't even bear the thought of an ice-machine running next door. So be sure to check on those things. After checking in at The Benson, we were hungry. Nonstop in a car for three hours, one works up an appetite. So off we went to Higgins for lunch. Owner Greg Higgins was an early champion of local and sustainable foods and this restaurant has been winning awards since 1994. It is most known for its charcuterie platter (he was one of the first to offer such a thing) and it's burger is considered by many to be the best in town. 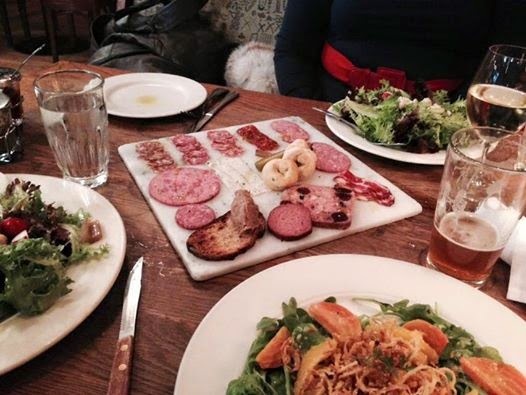 So naturally Daughter and I ordered the charcuterie platter and it did not disappoint. I am still salivating over the duck rillettes. And Hubby's burger lived up to it's reputation. But with accolades come high prices. Travel Tip #4: Dine at high-end, high-priced restaurants for lunch rather than dinner. You get the same good food often for less. Travel Tip #5: Order the specialty of the house. There is a reason why it is the specialty. While Hubby and I like the grand gesture that old hotels make, Daughter opted for an Airbnb. In case you are not familiar with this concept, Airbnb is a website where regular folks rent out lodging. It all began in 2008 when the founders could not afford the rent on their loft in San Francisco. So they made their living room into a Bed and Breakfast, with air mattresses and breakfast to accommodate three. Since then it has grown to over 800,000 listings in 33,000 cities and 192 countries and you can expect much more than an air mattress these days. The listings range from rooms to entire houses, modest to opulent. So off we went to the Mississippi neighborhood, an up and coming trendy area in Portland just perfect for Daughter, so she could check into her Airbnb. (When our daughter travels, Airbnb has been her accommodation of choice and it has worked very well for her). Mississippi Avenue is the main drag running through the Mississippi neighborhood, thus its name. Hubby noticed another street, Failing Street, and remarked that it's a good thing they didn't name the neighborhood after that street. Hubby is astute like that. 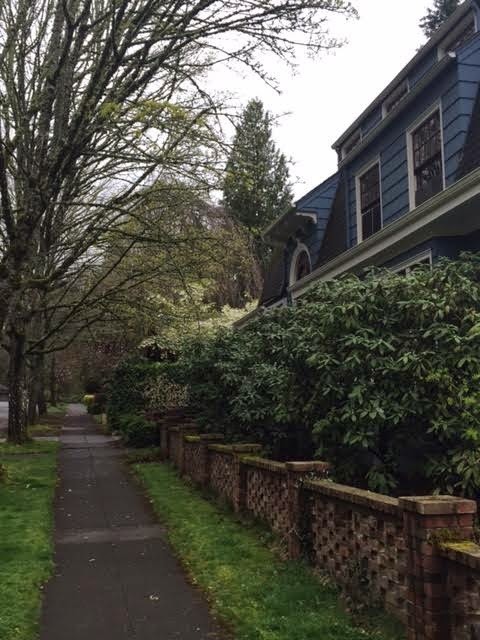 While our daughter was checking into her Airbnb, we checked out the neighborhood. 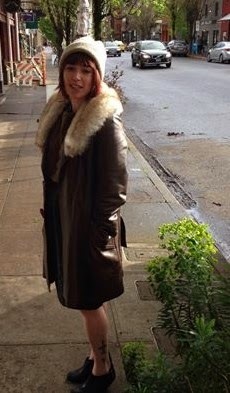 She was just one block off the main street which was filled with coffee houses, restaurants and boutiques and it was only three Max stops from the conference center. After we checked out the little house she would be staying in, we looked for a place to have a glass of wine. It was Happy Hour, after all. We settled into Equinox, a lovely little restaurant and bar. Travel Tip #6: A Happy Hour in a fine restaurant is another way to save some money while still enjoying the restaurants fine food and drink. NW 23rd Ave, also known as "Trendy-Third" is a fine walking destination because of its hip shops, bars and restaurants, many of which are in old Victorian houses, thus lending the street to a quaint hippyness reminiscent of what Union Street in San Francisco used to be like about 30 years ago. We got our 10,000 steps in (see my blog post about Fitbit for more info) and headed to Paley's Place for dinner. 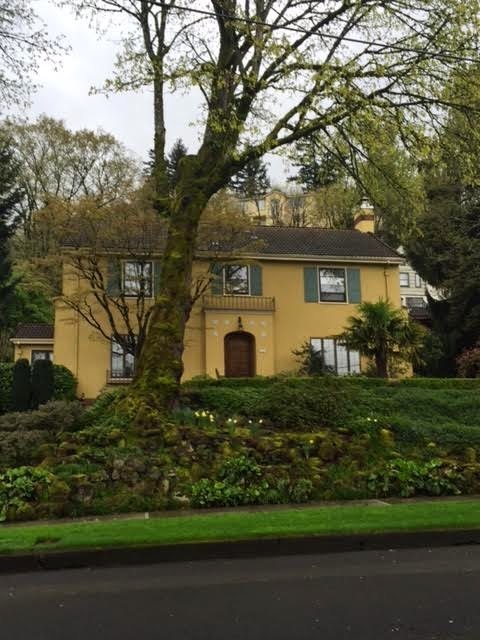 Paley's Place is situated in a lovely old house with a cozy bar and dining room. 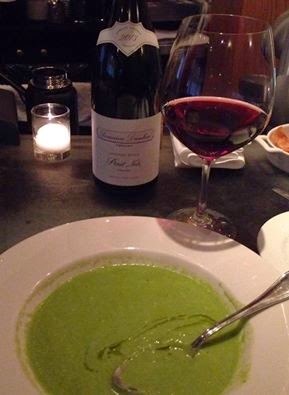 It's a James Beard Award-winning restaurant with a French influenced seasonal menu. Now I am a firm believer in making reservations, even when dining at an unfashionable day or time, but since it was a Tuesday night and we were feeling lucky, we waltzed right in, only to discover WE SHOULD HAVE MADE A RESERVATION! But the maitre'd did not shame us, which I appreciated, and he said if we wanted to wait in the bar, he would see what he could do. Well, what he didn't realize is that we actually LIKE sitting at the bar. We like the casual atmosphere chatting with the bartender. So when the maitre'd came back to say he had a table, we were perfectly content right where we were. Travel Tip #7: You can often find seating in the bar at popular restaurants (though I have noticed in recent months a tendency at some restaurants to require reservations for the bar as well), and often you can walk right in and take a seat. The full restaurant menu is almost always available at the bar, you get good personalized service, and can chat up the bartender if you don't have anything to say to your partner. we made our way back to The Benson to enjoy some cocktails in the beautiful Palm Court Lounge. Even if we were not staying there, it's always a destination for a drink and to soak in the beautiful, cozy wood paneled bar. Unfortunately, this time sitting at the bar we were accosted by a local who wanted to regale us with his knowledge of the hotel. He was obviously a barfly. But he was rather amusing. It was the OTHER guy, a fellow barfly, but this guy was making the rounds to every hotel bar in town and you could tell. He was conversing with the bartender and Hubby said something conversationally and he turned to Hubby and said, "I didn't see that you were part of this conversation," or something equally rude. So, OK, you don't want to talk, but when he started making wise cracks at the conversation our daughter was having with someone else, we decided to move. Travel Tip #8: Don't be afraid to move away from a drunken idiot at the bar. We actually enjoyed sitting at a table better anyway. 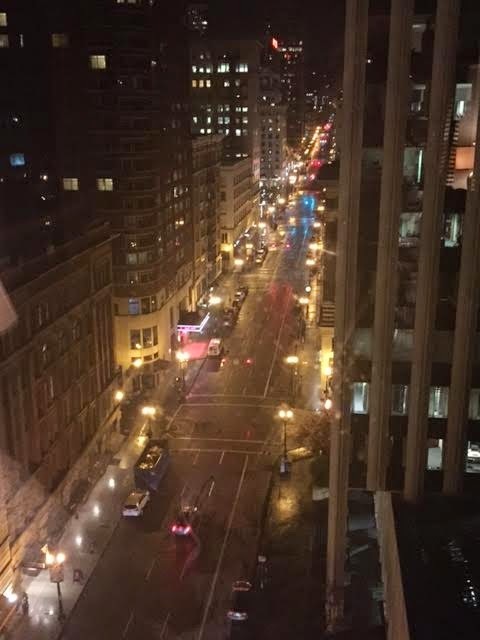 After our drinks, we bid farewell to Daughter, sending her back to her Airbnb in a cab (another nice thing about a downtown hotel: there is someone to hail a cab for you). Travel Tip #8: Don't be afraid to stick your head into the cab and tell the cabdriver to take good care of your daughter. 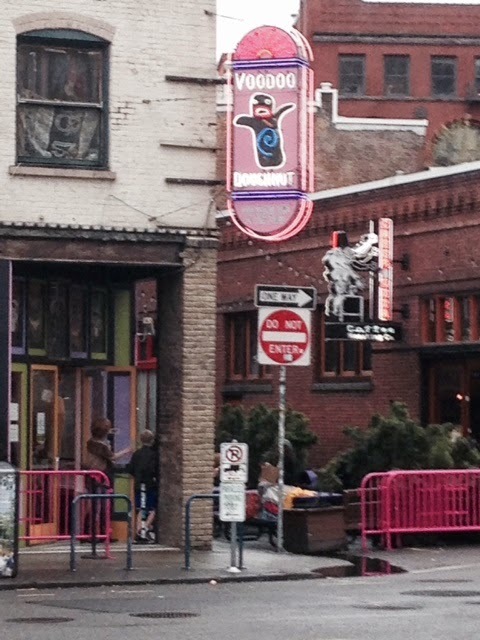 The next morning, Hubby went off to a local and famous doughnut establishment, Voodoo Doughnuts ("The Magic is in the hole!") while I slept in (we all know I'm NOT a morning person). Travel Tip #9: Find spots where you can hang out with the locals. 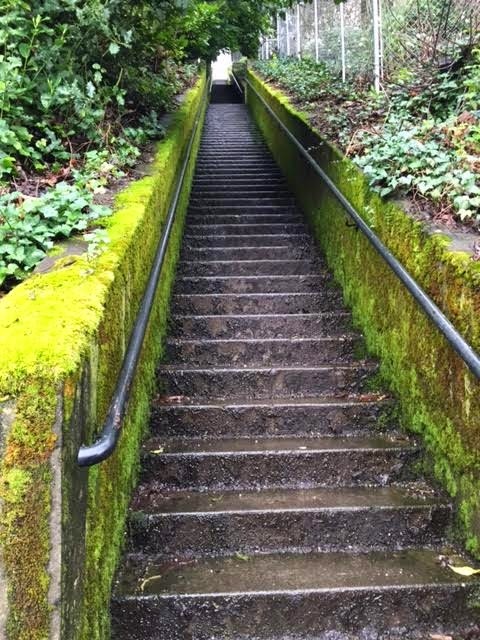 Then it was off to do a Portland stair walk. 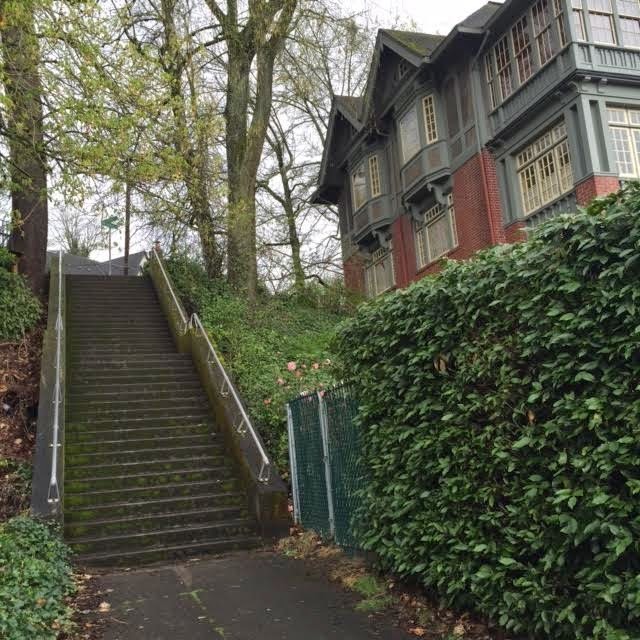 Yes, people, Portland also has stair walks and if you have been reading my blog, you know that Hubby and I are avid stair walkers here in Seattle. 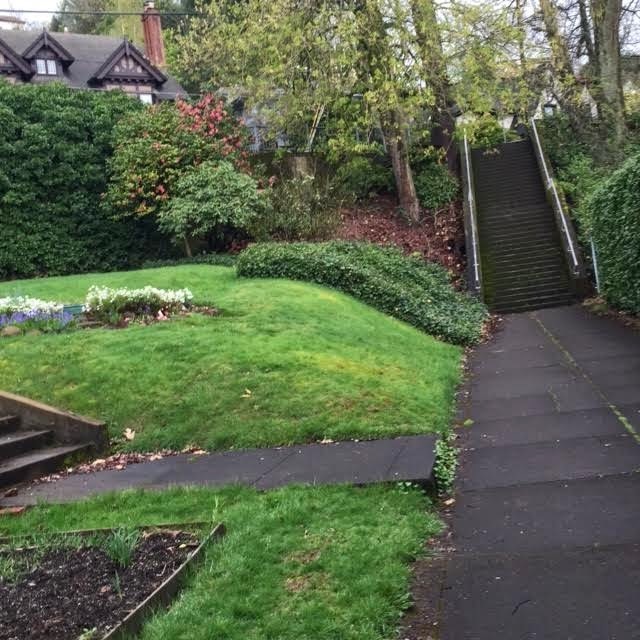 I wrote about it in my blog post "The Joys of Stair Walks: Urban Walking Adventures in Seattle and Beyond," where we walked all 25 stair walks from the book "Seattle Stair Walks" by Jake and Cathy Jaramillo over the course of a year and a half. 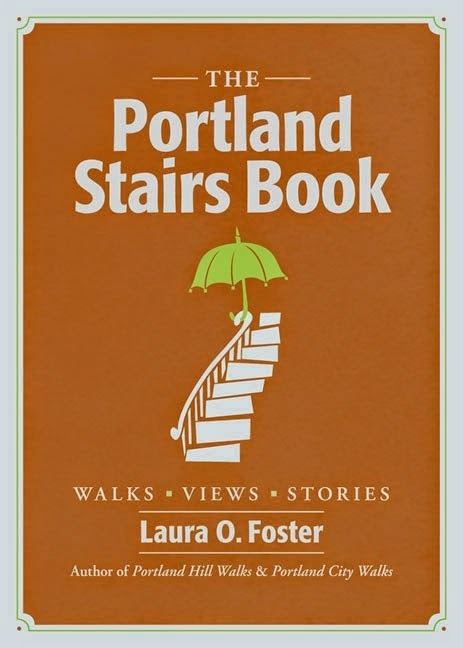 So we were so happy to discover "The Portland Stairs Book" by Laura O. Foster. 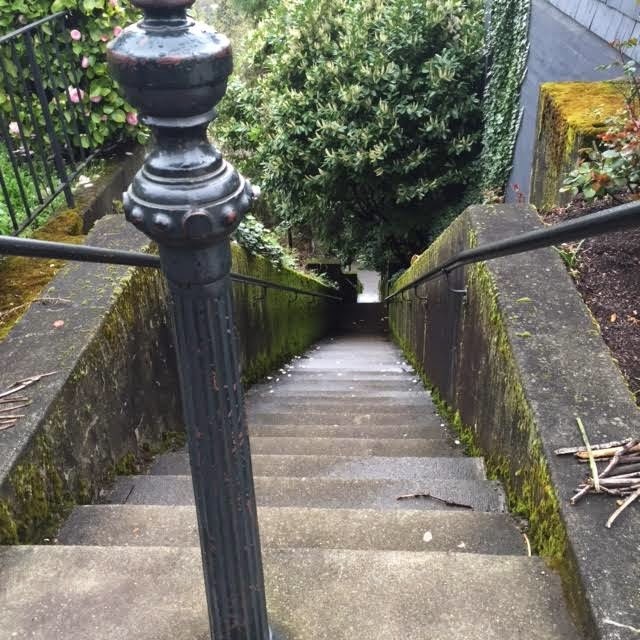 We chose the Nob Hill and Westover Streetcar Stairway Jaunt with 169 stairs up and 364 stairs down. We were in stair walking heaven. And Spring had already sprung in Portland! 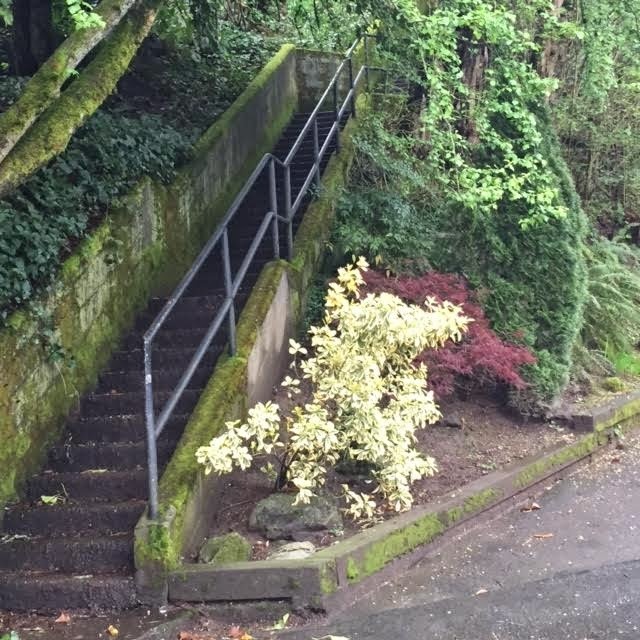 The fun thing about these stair walks is that you experience parts of town you might never see otherwise. 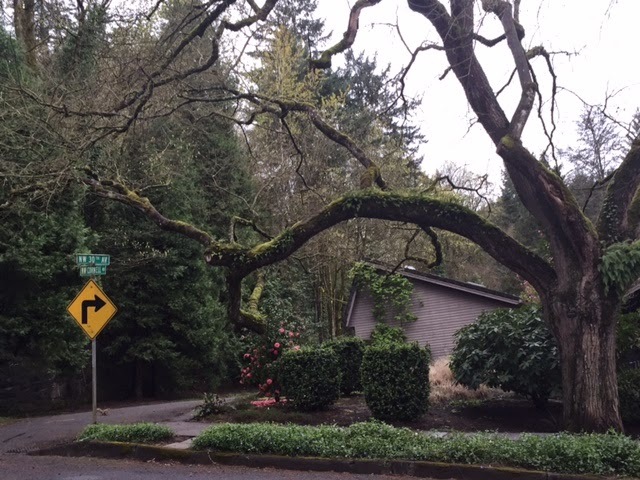 Here we were led to what is considered one of the prettiest streets in Portland. And to a tree that seems to defy gravity. After our stair walk, we wanted to grab some lunch before beginning our three hour drive home. We were over in the "Trendy-Third" area again, so started looking for a place to eat lunch. 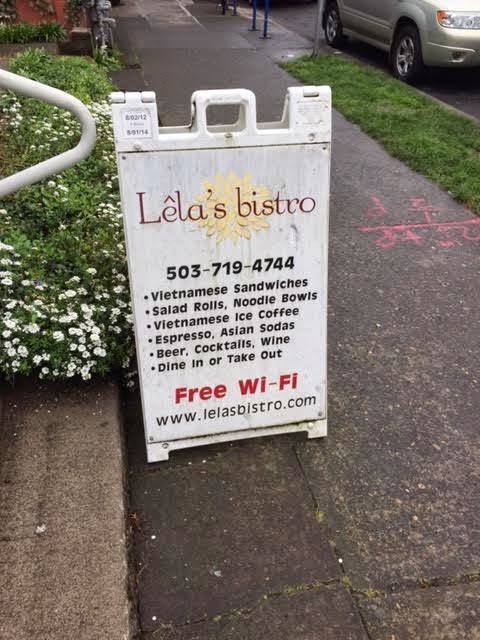 Not really having anything in mind and my getting crabby because my knee hurt and declaring if we didn't find a place to eat immediately I would start screaming, we happily found Lela's Bistro, a Vietnamese spot in a little house. 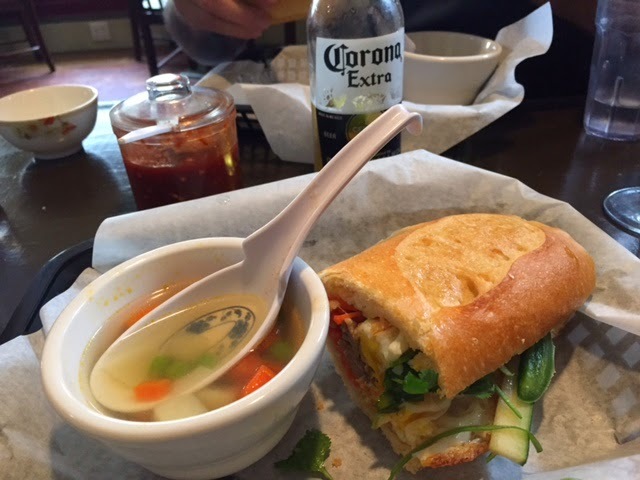 We had bahn mi and soup and it was delicious. Travel Tip # 10: Don't be afraid to try something new, especially ethnic restaurants. And I will say right now, you never can go wrong with Vietnamese fare: bahn mi, bun (pronounced boon), pho (pronounced "fa"), spring rolls - yum - and usually at very reasonable prices. So we headed home with the bonus that it wasn't pouring down rain. In fact it was a lovely day. 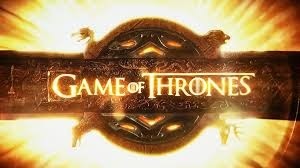 But since it's a long drive, I was happy to have content on my IPad especially when (yawn) Hubby was listening to sports broadcasting on the radio. "Keep Portland Weird" is a popular slogan you see around Portland. 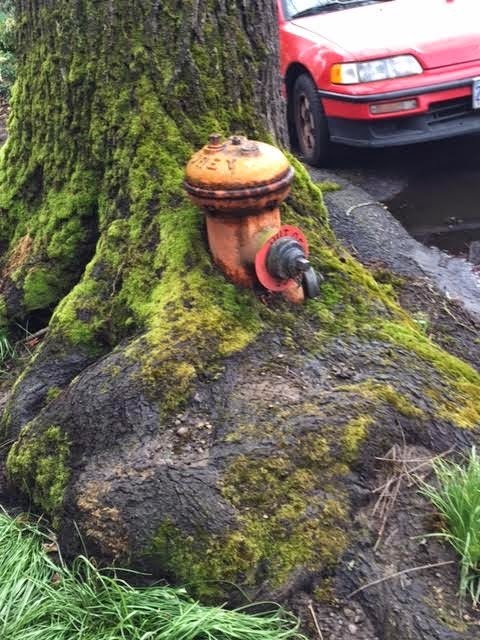 And Portland can be weird. But I like weird. That's perfectly Portland. Now I know there are many Portland sights I didn't mention here. I am not new to Portland. This was just a perfect moment in time. And I will be back. But what made this visit perfectly perfect? Spending it with our perfectly beautiful daughter.